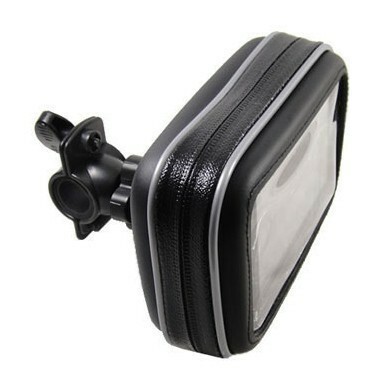 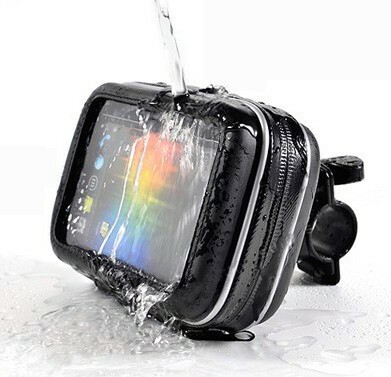 Waterproof Protective Case for GPS Satellite Navigation devices with a high quality adjustable handlebar mount for Bikes - Motorcycle / Motorbike / Cycles / Bicycles. 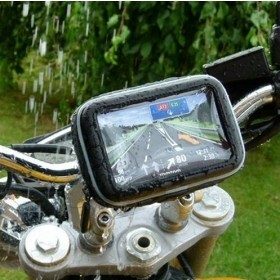 Both case and handlebar mount are included. 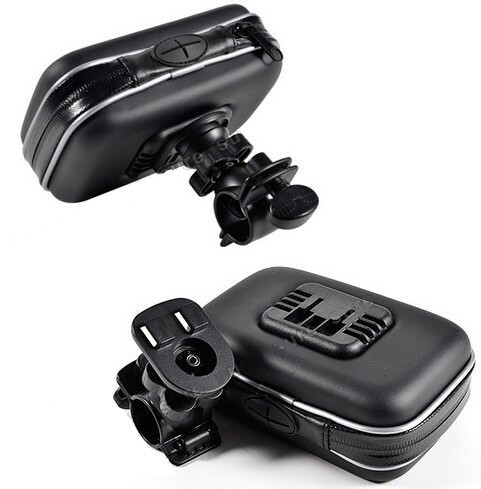 Compatible with most straight, drop, trekking, and touring size handlebars; Includes 2 x Bar inserts to cushion & protect handlebars. 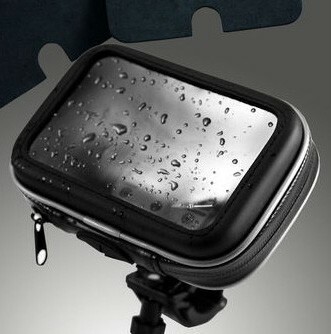 Case Dimension: 5.5" x 3.5" x 1.7"